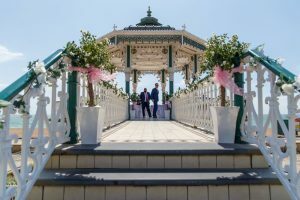 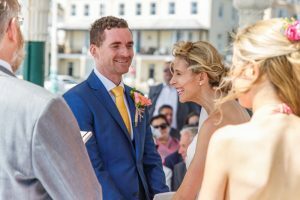 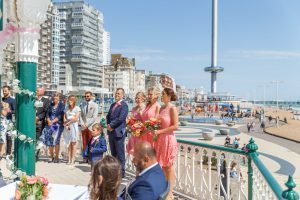 After a week of rain and anxiously checking the weather forecast, the sun came out with a vengeance for a fantastic wedding on Brighton Bandstand. 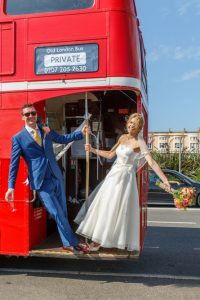 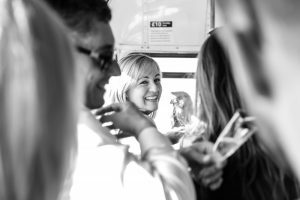 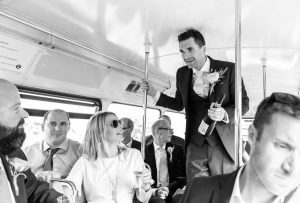 With the sea making the perfect back drop, Vicky & Paul tied the knot witnessed by delighted family and friends, before heading off on a vintage Routemaster bus for a lovely reception at The Oak Barn, Burgess Hill. 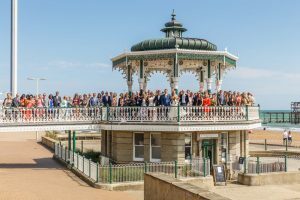 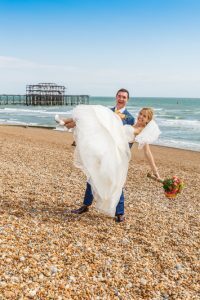 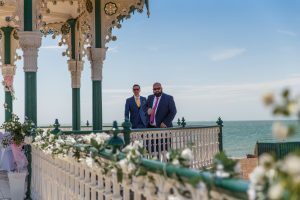 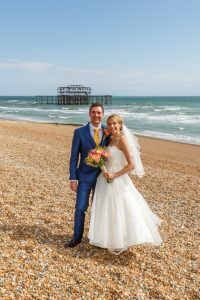 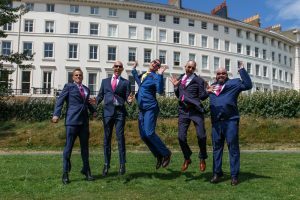 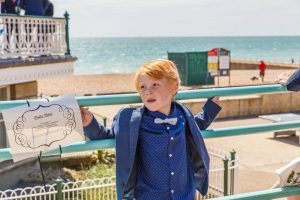 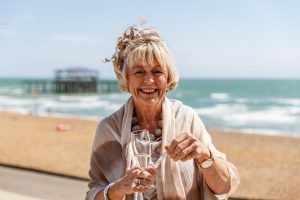 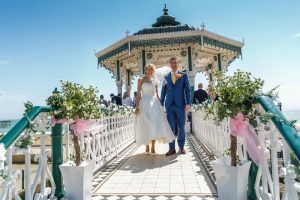 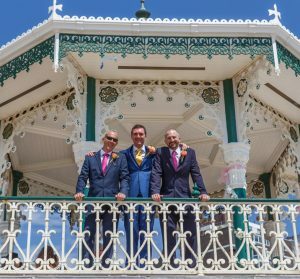 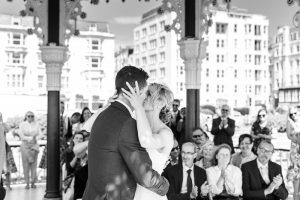 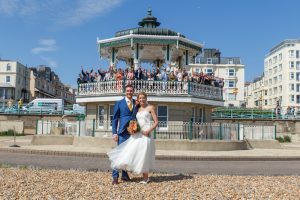 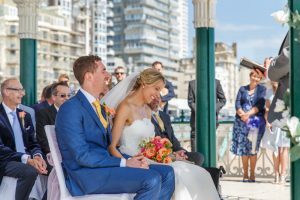 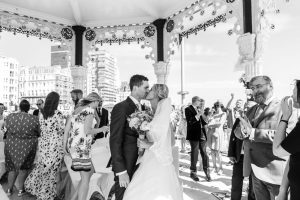 “We made an excellent decision in hiring Neil for our wedding on Brighton Bandstand this summer. 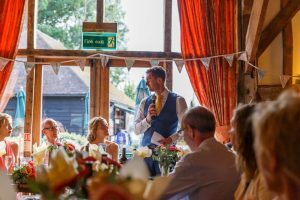 Right from our initial enquiry and meeting him to discuss ideas, through the day itself, Neil has been an absolute pleasure to work with. 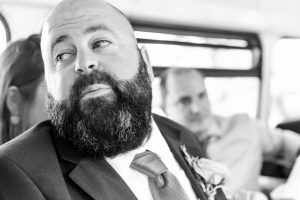 He is so friendly and puts everyone at ease, making everyone feel comfortable in front of the camera. 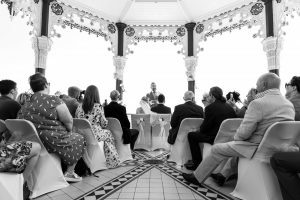 His skill lies in his ability to be non-intrusive, whilst beautifully capturing the events of the day. 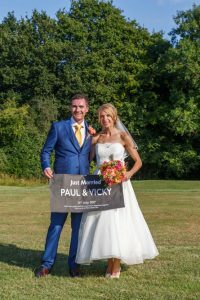 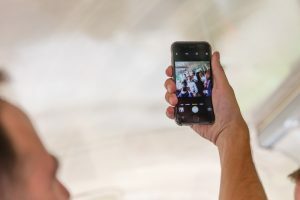 He has delivered fantastic natural shots of people enjoying the day, as well as the more posed group photos we requested. 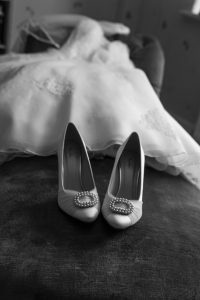 We also have some awesome images of iconic features of the wedding day, e.g. 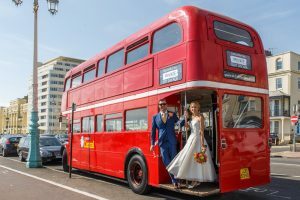 Brighton Bandstand, West Pier, a Routemaster bus). 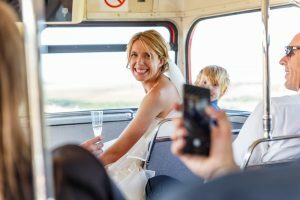 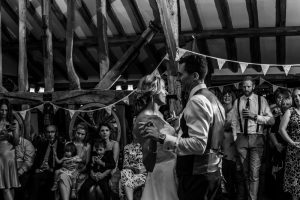 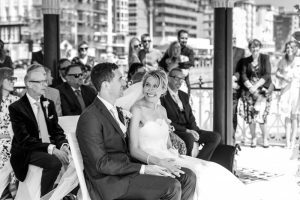 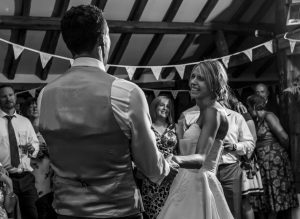 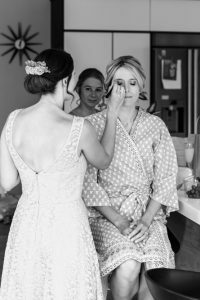 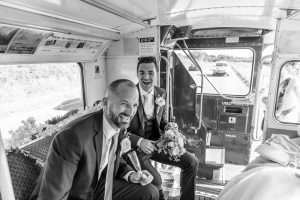 As a document of our wedding day, he has captured all the key moments as well as portraying the overall feel of a happy, celebratory day.